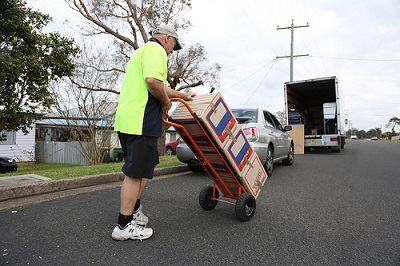 • Their general condition: Their general condition often means that they may not be able to help you with some of the major aspects of moving, such as helping you load heavy stuff onto the moving trucks. This is why using the services of a third party to do so is always recommended. • They might have more stuff to move: In many instances, the seniors will have collected a lot of stuff over the years. You may need to take some extra time in sorting out how to move everything with ease. In a few cases, it may also be necessary to offload some of their stuff if they are not going to need it where they are going. In many cases, the seniors will need special travel arrangements. Of course, if you are travelling very short distances, this might not be very necessary. However, if they are going to be travelling over longer distances, you may find that it’s necessary for them to use other means of transport other than traveling by road. The goal is to make sure that they are not subjected to the rigors of travelling by road, which can be uncomfortable. During the long distance moves, you may need to sort out issues such as getting a plane ticket, making sure that they have someone to accompany them if they need it and also ensuring that the itinerary is well sorted out. When you are young, chances are that you will not be very dependent on the healthcare system. You can afford to move from one part of the city to the other without having to worry about notifying your new doctor in the new area. After doing this, you will still find it easy to settle into the new city, and to find another doctor who can handle your case. This is not so when dealing with seniors. Most of them tend to have many chronic conditions that need careful monitoring. If you are going to move, you need to find all the specialists who will be needed to serve them in the new city. After this, you would then need to move all their medical records from one medical facility to the other. Depending on how extensive such records are, this might be associated with some degree of difficulty. In addition to that, you may also need to do things such as finding the right pharmacies from which they can get their drugs. Since most seniors will have one or more health issues, you need to take this into account when planning the move. Always try to ensure that they have enough medication by the time they are moving. Remember, there may be a bit of confusion for the first few days during and after a successful move, during which it might be difficult to do things such as getting a prescription filled. Ensuring that you get enough drugs to last through this period will ensure that you never have to deal with the issue anyway. Well, sometimes, moving with a senior means making sure that powers of attorney and wills need to be slightly changed. Find out how necessary this is, and get on it as early as possible. It will save you a lot of time in the long run, since you will have one less thing to worry about by the time you start moving. Working with moving services in Toronto will go a long way in reducing the complexity associated with moving with a senior. Don’t be afraid to consult such moving firms on account of cost; you will actually find that most of them offer very good value for money. In summary, if you are planning a move with a senior, always keep in mind the fact that there are a couple of extra things you will definitely need to sort out. Making a list of them and ensuring that they are all completed as early as possible will simplify life for you when the big move comes!